It was in reading the Catechism of the Catholic Church on the topic of its authority that I first realized something that gave me a jolt. I had been an active evangelical for 28 years, of which included seminary training, professional work on the staff of a church for several years, countless hours of Sunday School teaching and church committee meetings. I spoke regularly and devotedly about “the church,” and I thought I had a solid notion of what it meant. In my years as a member of various churches, I had confidently stated that “I believe in the holy, catholic Church” whenever we recited the Apostles’ Creed. Yet when I got to the section of the Catechism that began with that quote, I was in for quite a surprise. I had never been exposed to what the Catholic Church teaches about its nature, its mission, and, most especially, its authority…and the jolt came when I discovered that as I followed its thread of biblical teaching on its authority, which was so reasonably and beautifully laid out, I could not match or refute it from anything I knew about the Church. Try as I might, I could not escape the conviction that as an evangelical Protestant, I had only a passive, descriptive notion of “the church” as “the body of believers” and that my background and experience had somehow blurred the distinction between the authority of the Church and my authority as a believer. I found the Catholic teaching to be extremely compelling, and I trace my conversion to the Catholic Church back to that electrifying jolt. Where could there be any criticism of this? I had none. Perhaps that’s why, as I moved on through the unfamiliar and startling teachings of the Catechism about the Church’s authority, I did not find myself antagonistic. Instead, I wanted to see how all this got developed, how the love story turned out, so to speak. Because by then it didn’t feel like theology anymore. It felt like an account of a courtship, of all things. How does Jesus care for and sustain and prepare His Bride? This is surely a statement to gladden the heart of any evangelical, especially one who might be predisposed to think of the Church as a detractor from the Gospel. This is precisely what one would expect a loving God and a faithful Church to do. Yet within this statement is the preview of where Catholics and Protestants part company. “God graciously arranged that the things he had once revealed…should remain in their entirety” looks innocent enough, but the curious evangelical needs to get ready for the jolt it will deliver. This suggestion of an oral apostolic tradition as a means of preserving gospel teaching was a completely new thought for me. 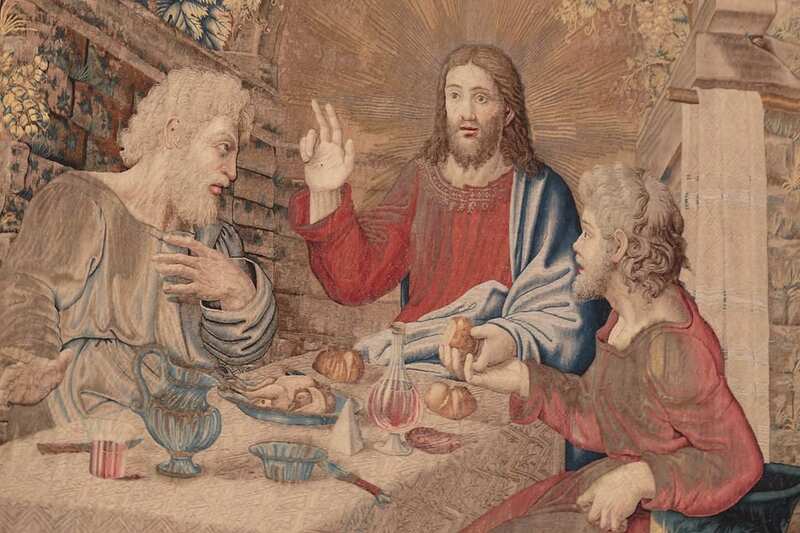 I had always assumed that the Catholic word “tradition” simply meant “the way things have always been done.” I had no idea that it was so organically connected to the apostles themselves. 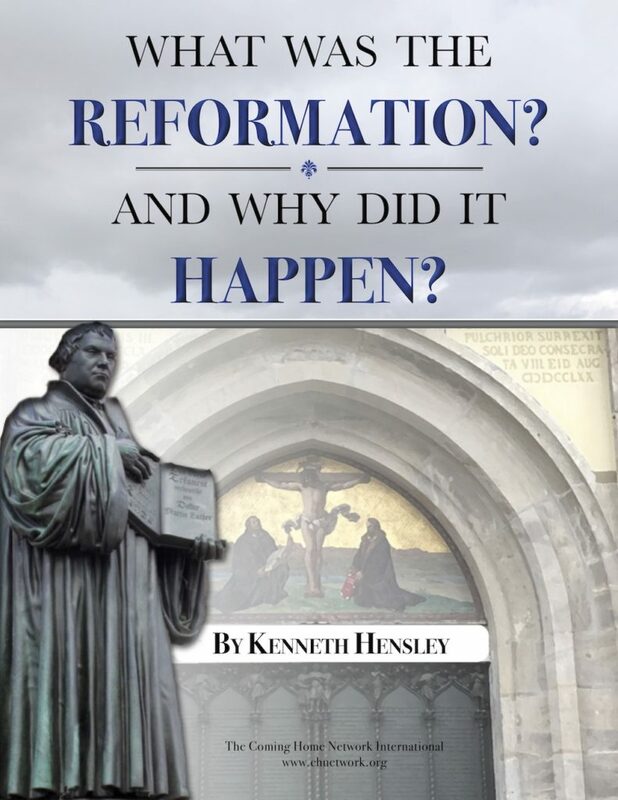 Having to pause and think about this was a real turning point for me, because the fact that I had only the dimmest notion of how we got from the preaching of the apostles on the day of Pentecost to the modern evangelical church exposed my lack of knowledge of church history before the Reformation. If the Church really is the human/divine organization described in the pages of the Catechism, how could I justify knowing so little of her history, especially about the time right after the apostles? I knew the Scriptures of the apostles very, well. But what did I know of this oral tradition? It made solid sense to me to imagine the apostles teaching people truths that had not been written down by one of them. After all, very few of the Twelve wrote anything. None of the gospels claim to teach all there was to say about what Jesus said and did. In fact, John seems to indicate that would be impossible (John 21:25). None of the epistles make a claim to full revelation, either. Usually they were written for a specific purpose in a particular church. Often they were written hurriedly, because a personal visit, which was always preferred, had to be delayed (I Tim. 3:14-15; I Cor. 11:33-34). The writers of the New Testament never direct the believers to accept and obey only what got written down (2 Thess. 2:15; I Cor. 11:2); indeed, in the entire New Testament there is no orientation to a singular importance of written testimony. There is strong and unequivocal importance laid upon obedience to apostolic teaching (I Thess. 4:1; Heb. 13:7). When I began to reflect on the fact that the original preaching of the gospel was entirely oral and that the Church existed, spread, and turned the world upside down for nearly 400 years without a New Testament as we know it, I knew I had to at least give the Catechism a chance to make its case for this suggestion. Sacred Scripture is the speech of God as it is put down in writing under the breath of the Holy Spirit. And [Holy] Tradition transmits in its entirety the Word of God which has been entrusted to the apostles by Christ the Lord and the Holy Spirit. It transmits it to the successors of the apostles so that, enlightened by the Spirit of truth, they may faithfully preserve, expound, and spread it abroad by their preaching. This appeared to me as eminently reasonable. In fact, it was so appealing and so biblically satisfying that I was curious to know more, especially about how we can know today what this “apostolic tradition” actually was. So, with a minimum amount of pain (none at all, really) after the initial jolt of seeing the Catholic claim to having two modes of divine revelation, not just one, I had traveled pretty far into the Catechism’s teaching on its authority. To follow its development required no great leaps, no blind acquiescence, nothing sinister at all. It looked as if we had stayed very close to Scripture and to history. A quick look at the Catechism’s footnotes verifies the historicity of this Catholic Church (i.e., “Where there is Christ Jesus, there is the Catholic Church”—St. Ignatius of Antioch: ca. A.D. 110). Although quite different from what I was used to, nothing here seemed strained or sub-Christian (which is what I expected). The New Testament gives much support to the idea of apostolic succession, from Peter’s announcement that the “office” left empty by Judas needed to be filled (Acts 1:20-21) to the Council of Jerusalem’s inclusion of the “elders” in making its decision in the circumcision controversy to Paul’s directive to Titus to appoint “elders” in every town (Titus 1:5). This is certainly not an idea intruded into the New Testament picture of the Early Church. As for Peter being in some way the head of this Church, what else would make sense of that conversation Jesus had with him in Matthew 16? Yet this Magisterium is not superior to the Word of God, but is its servant. It teaches only what has been handed on to it. At the divine command and with the help of the Holy Spirit, it listens to this devotedly, guards it with dedication, and expounds it faithfully. All that it proposes for belief as being divinely revealed is drawn from this single deposit of faith. Had I lifted this out of context, I might have just scoffed and dismissed it. But because the Catechism so clearly presents this teaching as being just what one would expect a loving God to do—arrange for an apostolic structure in His Church that will always know, preserve, develop, and teach the absolute truth (“infallibility”)—for the first time in my Christian life, I actually was willing to at least think about it. Thinking led to more reading, studying the Scripture, examining church history, and reflecting as dispassionately as possible on my Protestant heritage. I had always assumed that defining truth is left up to the individual believer, led by the Holy Spirit. But there was no denying that this method led to chaos as far as theological absolutes were concerned. “Chaos,” after all, was what happened in the Garden when our first parents thought the decision between two competing claims to “truth” was left up to them. That’s what precipitated the necessity for the Church in the first place! I discovered that the ability to believe that the Magisterium had this kind of authority took no more effort than I already expended on believing in the authority of Scripture. That is, could I believe that the Holy Spirit could write the perfect Word of God through fallible, even sinful men (David, who wrote the Psalms, was a murderer and an adulterer)? If I could imagine that kind of human/divine cooperation for the production of written truth, why couldn’t I imagine it for the preservation of oral truth or, most importantly, for the interpretation of those truths? Nothing is more amusing to the convert…than to hear the speculations about when or whether he will repent of the conversion…The outsiders…think they see the convert entering with bowed head a sort of small temple which they are convinced is fitted up inside like a prison, if not a torture-chamber…They do not know that he has not gone into the inner darkness, but out into the broad daylight. From beginning to end the Catechism’s teaching about the Church and its authority plants one’s feet firmly in the wide open space of God’s great love and man’s true freedom. Is there any other place to be?